Here’s one that I don’t really have any connection to but up until this week has been sitting in my collection for a few years. 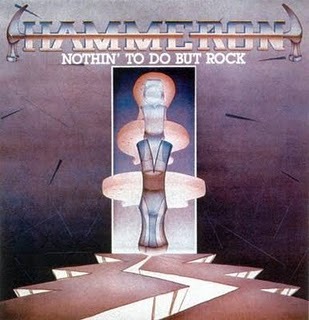 Hammeron hailed from Chicago and the singer, Brian Troch, sang on the first 2 releases by Cyclone Temple. Apparently he did a stint in Znowhite as well, who of course became Cyclone Temple, so the math works, eh? This is not a great album by any stretch of the imagination but if you liked that dude’s voice on the CT stuff, you’ll dig this probably. Straight up US metal. When I saw Cyclone Temple in 1994(? ), he was already out of the band. Didn’t matter. They were awesome live. This never came out officially but I picked it up from Europe as a bootleg on CD. Today I am ecstatic. I just learned that Elton John is coming to Austin @ The Frank Erwin Center on April 10, 2010. Tickets are $45-$125, which is pretty cheap all things considered. I’m definitely going. 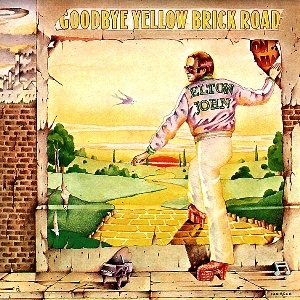 Sure, it’s a greatest hits tour, but many of those hits came from Goodbye Yellow Brick Road which has been a lifelong favorite of mine and I’m sure to hear several from that record. Like seeing Iron Maiden the first time, I’m sure this will be a memorable show. 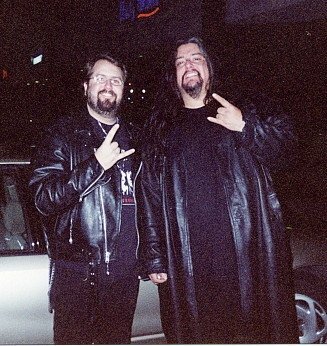 As I have stated before, my older brother Robert was a big influence on me musically when I was a kid. he got me into KISS, Alice Cooper, RUSH, Judas Priest, Uriah Heep and yes, Elton John. Similar to what I wrote about in the Alice Cooper blog a while back, this album takes me back to far simpler times. Either living in Camelot (yes, that was the name of our neighborhood) or on the farm, this album was listened to a lot by my brother and me. It always takes me back to those good times. It still amazes me how music can connect like that. Even siting here just thinking about the intro to Funeral for a Friend/Love Lies Bleeding I have goosebumps and am even getting a little choked up. How un-metal of me! But facts are facts. Music gets me emotional…or rather I get myself emotional to music. However one wants to look at it. His collaborations with Bernie Taupin have been phenomenal. On top of that, Elton is a great performer. Flamboyant, funny, talented. Seeing Elton live will close my concert circle a little more…you know…that list of bands that you always wanted to see but never got to. Elton is one of them. What’s even nicer is that I’ll be able to walk to the show…5 blocks! I’ve been waffling on this idea for a few years now but have taken the decision to sell about half of my CDs, 700 or so. While I like everything in my collection, so little of it gets listened to regularly so I will digitize and sell them off. Certain things will stay like Iron Maiden, original pressings of Fates Warning’s Arch era. Tons to let go though. It’ll be interesting to see what stays and what goes…what I can and can’t live without. Here’s where you can see them once they’re listed. 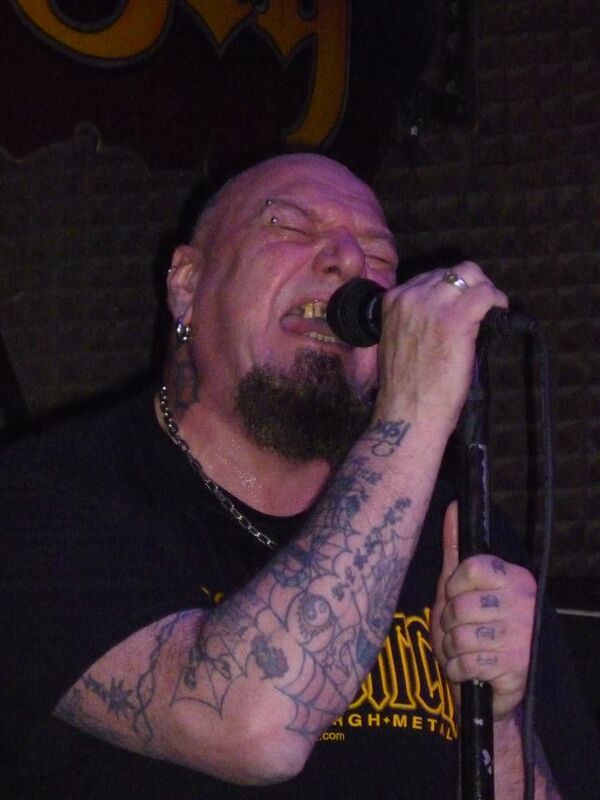 So Paul Dianno played last night at the Red Eyed Fly in Austin, TX. I had expectations but they weren’t set too high as I know of enough about Dianno these days to not expect miracles. As noted before, I’ve been to 2 other Dianno shows but never saw either of them. Last night was different. A few weeks back I went to the Red Eyed Fly to get an advanced ticket. When I asked the booking guy for the club about it, he said they weren’t on sale yet and he didn’t know the price. So he created his ticket list and I just handed him $20 and said let me know if it’s more or less. The guy knows me so he had no worries of me paying if it ended up being more than $20. Ultimately it was $12. $12! There really wasn’t that much buzz around town about the show but I tried telling everyone as much as I could. I’m moving in a block away from the venue so after taking a load of stuff to the new place, I decided to walk over to the venue and see if they were hanging out. Icarus Witch was the opening act and they also served as Paul’s backup band. Paul was back at the hotel. Jason McMaster and I hung around for a bit and watched the soundcheck. Jason and Paul’s tour manager are old pals so they got to catch up for a bit. We left to grab a bite to eat and came back right before Icarus Witch was about to take the stage. Now…I think the club had only sold about 15 pre-sale tickets and I didn’t think many more would show up. i think they ended up with about 100 or so which was cool. Icarus Witch hit the stage and while I am not a fan of theirs, they are competent players. I think they would be better served with 2 guitar players but that’s just my opinion. They were tight and did a good set. About 30 minutes after the IW set, the lights dim a little and the music for the Godfather starts playing. Paul is led through the crowd. He was in pretty bad shape as apparently he fell on the ice a few times in the last few days, not to mention that he’s always been a bit stiff and gimpy. To be honest he looked like hell. He looked old and beaten. It actually saddened me a bit. The band opened with Wrathchild and Paul’s voice was obviously worn out from the rigorous touring schedule and from his still very apparent rock and roll lifestyle. Hey, good on ‘im if he can still do it! I had seen the setlist a few days earlier so I knew what to expect. I was happy that one Battlezone song was in there as I really loved the first 2 albums. I was also surprised when he played Alex Harvey’s Faith Healer. I forgot that he covered that on the Murder One album. It was a cool version. I didn’t know any of the other songs but Marshall Lockjaw was pretty damned good. His voice improved a bit throughout the night but he was very open about his voice sounding “like bullocks”. I didn’t think it was that bad in general. He sounded better on his solo stuff than he did on the Maiden songs, all of which were played waaaaaay too fast. After the show most of the crowd left and there were a few of us left who wanted to meet Paul. They were letting people in 2 at a time to meet Paul and get stuff signed. All of my CDs were still packed up and I didn’t feel like digging out the Maiden and Battlezone ones. So I brought “the book”. Paul signed it in the Battlezone section instead of maiden at my request. 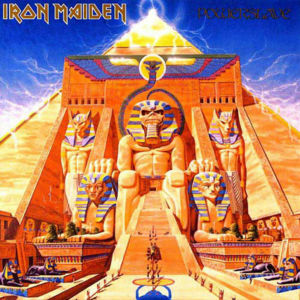 Don’t get me wrong, those 2 Maiden records are some of the greatest records ever, but those 2 Battlezone albums are pretty special to me as well. I mentioned seeing him with Obsession back in 87 in Norfolk, VA and his face lit up…”Oh wow, Vescera and I are still good pals and talk often.” Then I mentioned seeing the Murder One tour in Va Beach, VA with Solitude Aeturnus and he remember the show well…”More people here tonight than showed up there at the beach, eh?” I mentioned that we hung out and shot pool together for a few hours and how grateful I was for that experience. Paul seemed pretty humble throughout the night. It was a bit tough seeing one of the “originals” sketching by on a low-dough tour but I’m glad I got to see it. Paul is still all about the party and I am sure he is doing his share of it on the road again. He mentioned since he can get a visa with no problem now that he wanted to tour again next year. I’d surely go. He had been closing with the Ramones’ Blitzkrieg Bop…I’m so glad we didn’t get to see/hear that. Here’s the vid for Wrathchild that I shot. I’ll try and get Children of Madness and Faith Healer posted soon. I’m using a new camera and am not figuring out how to get really good shots with it yet. Most of them sucked, really. The Audi commercial with the Green Police offered an insight into America’s future. I’ll not be surprised when this actually happens. In a lot of places it’s already being back-doored. Here in Austin, TX you can’t sell your house until the City gives you the “OK” that it’s up to certain green codes. And don’t get me wrong, I am all for recycling and try to do it as much as I can, but being forced to do it at the barrel of a gun isn’t my cup of tea. It’s akin to many of the taxes that we are forced to pay. It’s sickening. So get ready America. The Green Police will be coming for you in a few years. Environmentalism is the new Socialism. Oh, and thanks to the gubment for spending millions on the ad for the Census…and Chrysler! This is the accompanying photo to this previous blog.